- Graphical plots of your heart rate data and active energy on any given day from the past three years. - Full statistics on your average, maximum, minimum and resting heart rates from the past three years. - Access Deep Analytics based on heart rate, activity and workouts data from the past year. - Many other advanced analytical features. - Includes an instant and informative app giving you a snapshot of your heart rate for the day with an updating graph. - Make use of customizable complications to keep you up to date with your heart rate. - Apple Watch Series 4 users can get a live heart rate graph right on their wrist with the Infograph Modular complication! Don't Panic! Heart Analyzer will return in the summer with a major V7 update. Got a great feature idea or a way we can improve? Now is the time to get in touch! • Added a warning for users launching the app on iPad as there is no Apple Health support! We really hope you are enjoying the app, excitement it high for the future. You can help! Send your feedback, review us if you can and spread the word! So I got this App because 9to5mac recommended it. After downloading it for whatever reason it wouldn’t show on the watch until I powered down both watch and phone then it finally showed up in my watch apps. My biggest problem is that while sleeping it would run my activity in the background so now upon waking up I already have 600 calories burned, I’ve stood the entire night and almost 100 minutes of exercise. This happened three nights in a row, and I would notice that on the top of my watch it show a white out version of the activity logo. But when I check my workouts nothing was posted, matter a fact none of my workout apps said I did anything. So I was really confused, now this happened when it was a set as a complication on my watch face. I didn’t bother to see if it did the same thing if it wasn’t a complication, but I went ahead and deleted it and now my watch is back to normal. Also during those three times that my watch was going it would almost completely drain my battery. Apologies that you've had issues with the Watch app. We have now fixed the issue that could cause the watch to continuously measure your heart rate indefinitely. You may need to reinstall the watch app for the changes to take effect! You can also enable/disable the Live HR feature anytime by force touching in the watch app and selecting the Live HR button. I really hope this has fixed your issue and that you can update this review, but if not then please get in touch via Simon@HelixApps.co.uk, We'd love to help! App was working OK with the expected quirks of a free app. It was not accurate, neither did it work all the time. I was able to track my sleep to a certain extent with the old view. After the latest update, views are just a joke. It takes a PhD to decipher the data under “sleep times”. You can not get a quick glance to see how long did you sleep last night (whether its accurate or not!). You have to stare at the log for a while to extract the info you need! Not sure who recommended this view to the developer! I quit using the app and decided to “offload it” using the new ios11 feature to preserve old readable histories logged before the update. A great example of a decent product with a horrible representation! Hi there, I'm sorry you've not been finding your experience with Heart Analyzer up to scratch, especially with the new update. The aim of the update was to have the opposite affect so many apologies there! If you had the time to email me and go through some more details on the quirks your experiencing and how Heart Analyzer could be better I would really appreciate that. Email me through Simon@HeartAnalyzer.co.uk any time. Many thanks! 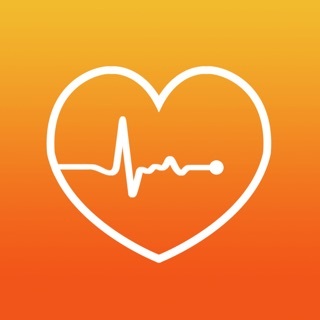 I was looking for an app it made more sense of my watches ability to measure my heart rate, and as luck would have it, I found this great app. I appreciate the fact that the developer has my privacy in mind, and all data stays on the phone, and not sent to a website somewhere as Fitbit does. The developer has been very responsive to questions and bug report, and seems to be very dedicated to maintaining and improving the app. As a software developer myself, I know all too well sometimes bugs will creep in even though you’ve done your best to test and try to prevent them. I feel the developer has been very proactive in attempting to squash said bugs, As you can see there have been three updates in the last week. The live heart rate feature on the watch, And the graphing options are excellent. Keep up the good work! And thank you for caring about your users.